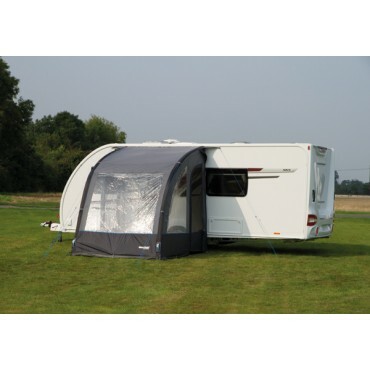 A classic shaped awning with an air frame and added benefits. 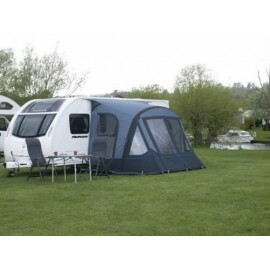 The Gemini Air 390 combines the best of a classic design with the advantages of new technology and added extras. 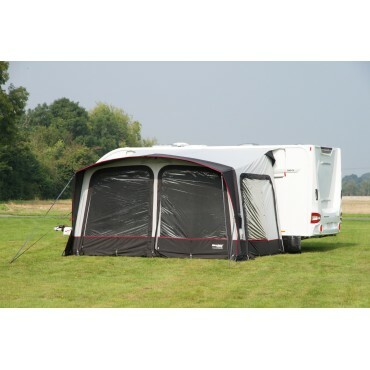 The ease of use of an air frame is given extra by the addition of inner tents and adaptable panels giving you an easy to use awning with lots of options. 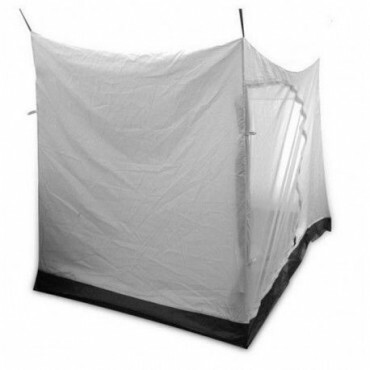 Combining space & light, sun canopy, roll up panels, an air frame and the great addition of optional inner tents. 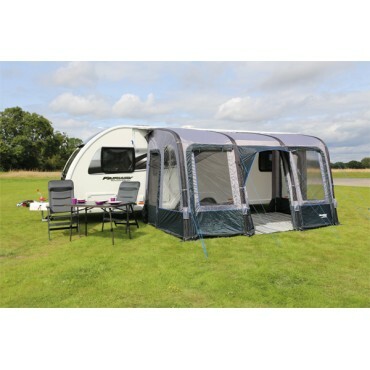 The ease of use of an air awning combined with a very large spacious area loads of light from the extra large windows and the multiple sun canopy options. 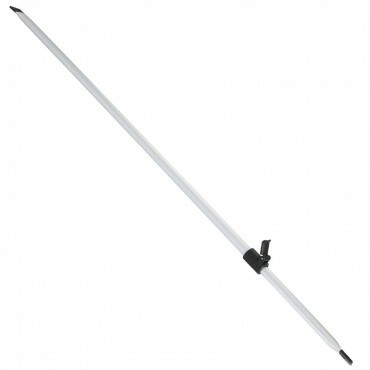 This is a latest generation airtube system designed to be used in lightweight awnings. 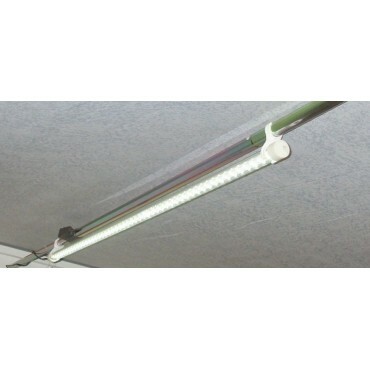 The system users a triple layer airtube ensuring maximum strength useability and durability. 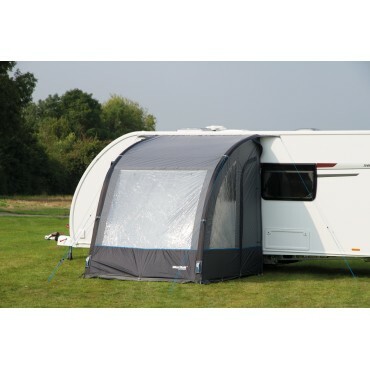 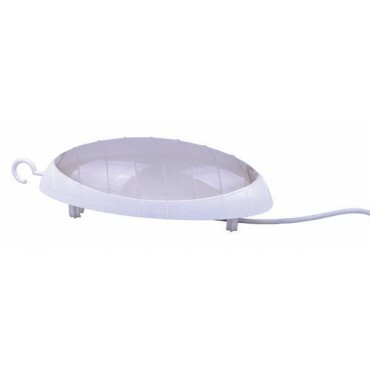 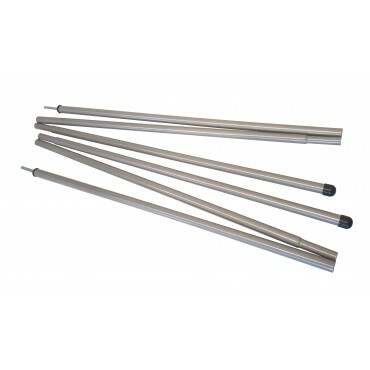 It also uses larger and stronger tubes ensuring your awning is stronger and more resistant to the weather.